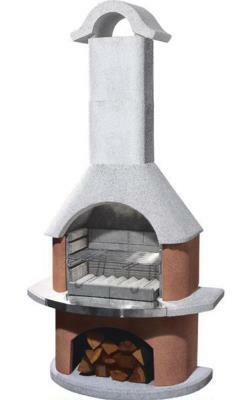 The Buschbeck Davos barbecue fireplace has an exclusive and contemporary look and feel to it. The high quality white quartz structure is complimented superbly by the contrasting terracotta fire box and fuel storage area. 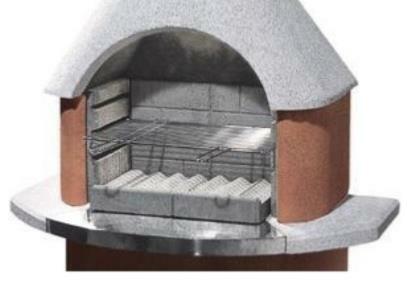 Adding to this overall stunning visual appearance is a real stainless steel insert within the mantelpiece and a useful fuel storage area cleverly incorporated within the base of the barbecue. 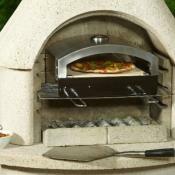 Not only is the Buschebck Davos a brilliant barbecue but it is also a fantastic natural fuel fireplace / patio heater. 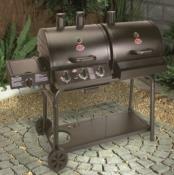 For cooking, the Davos has three adjustable cooking heights and comes with a heavy duty chrome grill with plenty of space to grill on for even the hungriest of gatherings. 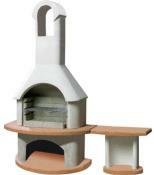 Colour: White & Terracotta granite with a real stainless steel insert within the mantelpiece. Please allow 7 to 14 Days for Free Delivery.